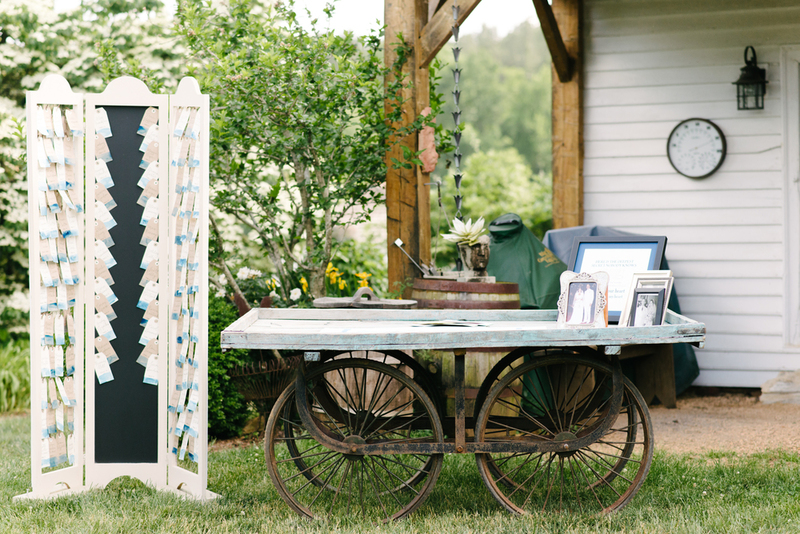 This wedding is one of our favorite spring weddings to date. 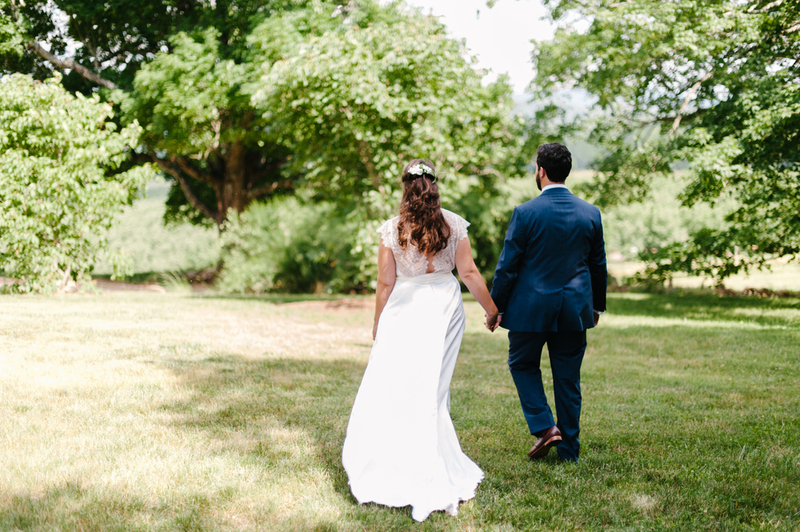 The late May day, the abundance of Peonies, and all of the brides special touches really came together to make this day as charming as the bride and groom! Images are courtesy of the talented Dominique Attaway photography. Be prepared, there are quite a few! Pharsalia's own peonies are featured in this weddings floral design, and they are abundant! Pharsalia's Peonies in a hand tied swag on the Brides family's mantle for the ceremony. Peonies, Snapdragons, Viburnum, and other spring garden blooms grace our brides bouquet. Boutonnieres featured Nigella, fragrant mock orange, and seeded eucalyptus. The brides dress is a family heirloom, and all paperwork and lettering was by the bride. The ceremony was followed by cocktails in the courtyard with the hazy DePreist Mountain as a backdrop. Dinner was hosted underneath a Lynchburg True Value tent decked out with Pharsalia's own farm tables. It was catered by Chef Tucker Yoder who worked our Fall 2015 Farm-to-Table Dinner.